I’m interested in the idea of transformation and elevation through the everyday—tactile, unfolding experiences of the human body in space that we often take for granted. An owner and principal of Olson Kundig, Kirsten Murray’s body of work is characterized by authentic, contextual buildings and spaces that result from a collaborative design partnership with her clients and colleagues. Since joining Olson Kundig in 1989, Kirsten has designed a range of project types, from private residences to mixed-used buildings, multi-family developments, art spaces, historic commercial renovations and urban design projects. Throughout her career, Kirsten has created buildings and spaces that strengthen and enrich communities. She is known for integrating stakeholders and community members throughout the process, shaping the design around their collective goals. Her work has been published in a variety of national and international media including The New York Times, Architectural Digest, Interior Design, and Architectural Record. In 2016, Kirsten was elevated to the AIA College of Fellows and has served on the National AIA Board in a number of capacities, including trustee, treasurer and vice-chair. From the beginning of her tenure at Olson Kundig, Kirsten has been a firm-wide leader, creating new programs and enhancing core practices that have helped the organization grow from a small architectural firm to an internationally recognized design practice with over 180 employees. Many of her contributions, such as Olson Kundig’s international internship program, integrated studio organization and community engagement programs, were cited as specific distinctions when the firm was honored with the AIA National Firm Award in 2009. Throughout her 30-year tenure at Olson Kundig, Kirsten Murray has created buildings and spaces that strengthen and enrich communities. She is most inspired by projects that blend old and new, drawing on the character of surrounding elements, and on the collective intelligence of users and designers. Kirsten has designed a range of project types, from private residences to mixed-used buildings, art spaces, historic commercial renovations and urban design projects. Long inspired by Scandinavian modernist traditions, Kirsten’s architecture emphasizes warmth, natural materiality, tactility and refinement. Her creative and innovative workspaces, particularly for international technology clients, exemplify her interest in programmatic flexibility, allowing for adjacencies that might have otherwise been left undiscovered. Kirsten is known for upending traditional workplace programs by injecting them with principles from her vast residential experience, imagining for example how a lobby could become like a living room or an informal workspace like a front door. What results are sophisticated yet hardworking spaces that are very much about creating a framework for people to activate and enliven. Kirsten is most inspired by projects that blend old and new, drawing on a collective intelligence of users and designers as well as the character of surrounding elements. By translating the innate conditions of a site—its nature, culture, topography and history—into built form, Murray’s designs create new interpretations of place that remain relevant over time. Kirsten has long been an inquisitive leader within the firm itself, pioneering many of the programs and core practices that have helped Olson Kundig grow from a small, regional architectural firm to an internationally recognized design practice with more than 180 employees. Many of these contributions, such as Olson Kundig’s international internship program, integrated studio organization, and community engagement programs were cited as specific distinctions when the firm was honored with the AIA National Firm Award in 2009. 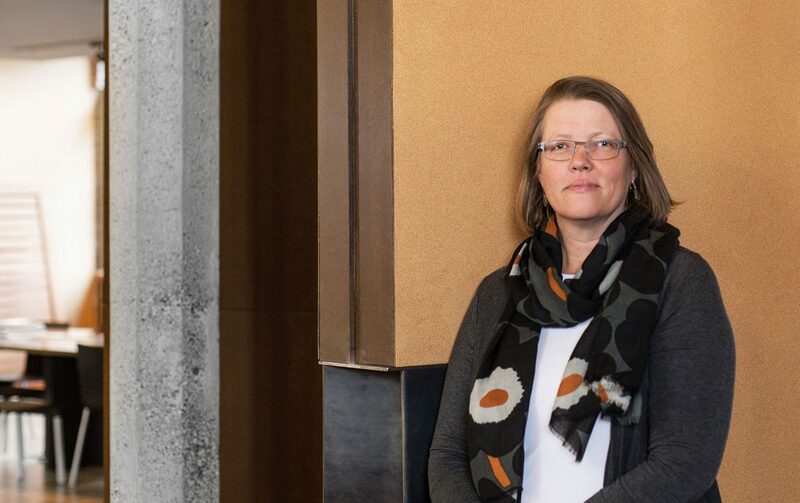 She has led numerous firm-wide initiatives to cultivate connectivity both within the firm, and between Olson Kundig and the larger community. In 2011, Kirsten and co-director Alan Maskin launched [storefront], an experimental design space in Pioneer Square where, over its two-year run, the firm hosted a series of investigative, community-based projects. Kirsten’s work has garnered national recognition, including such projects as Tye River Cabin, 1111 E. Pike and Art Stable, which received local, regional and national AIA Honor Awards. In recognition of her many contributions to the wider field of architecture, in 2016 Kirsten was elevated to the AIA College of Fellows. She has also served on the National AIA Trust Board in a number of capacities, including chair, trustee, treasurer and vice-chair.